In order to conduct your business in accordance with your customers and clients requirements, you might need to store your products. The length of them being stored may differ. Depending on how fast you need to deliver them. Surely, through time, you will upgrade your production and manage to do everything perfectly. In the beginning, you might need long-term storage solutions, and later you would shorten the time. So in an advanced production, a short-term warehouse Japan would be just the good enough solution. Still, you want your products to be safely stored. No matter short or long term solution. Besides, not having to take care of it by yourself is a great advantage. So always look for warehousing company offering to satisfy all the needs you might have regarding your products. 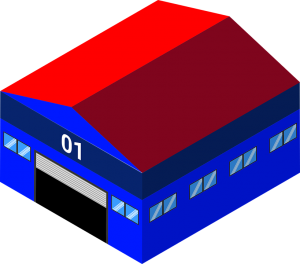 We are writing this article to help you choose the right solution for warehouse in Japan. Kokusai Express Japan pays very much attention to the safety of products the clients entrust us. 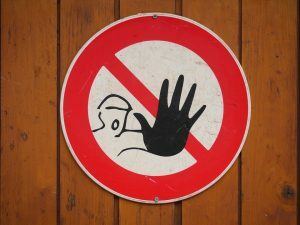 Therefore, we implement the maximum of security in our warehouse facilities. Making sure nobody except our workers and clients has the access to storage buildings. This guarantees the safety for all of your products. Together with this, we follow the trends in storehouses safety. As soon as something new and better appears we put an effort in implementing it in our facilities. Besides the safety from someone stealing or damaging your products, you also want them stored in the Japanese storage facilities with proper climate conditions. Especially if your products require special attention. Taking care of this is as important as having safe warehouse Japan solution. Our facilities are capable of dealing with all sorts of products. And with our trained personnel, you can be sure that your products (in case you are a manufacturer or a distributor) will be exactly the same as you left them once they reach your customer. We do not make a difference if you are a company needing to keep products stored until they reach the market, or you are a person relocating your home. 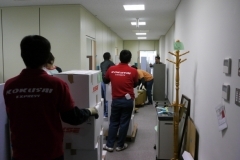 The warehouse Japan solutions we offer are capable of dealing with all sorts of items. It does not matter if those items are raw materials for your production, final products ready to be placed on the market, or just personal belongings you need to store until you are able to enter your new home after relocation abroad. In Kokusai Express Japan, we believe that making our customers and clients satisfied is the most important for our business. This is why we work hard on implementing every service you might potentially need regarding storing things in our domestic warehouse solutions. Whichever item you are not sure if you can find the right storage in Japan, feel free to contact us. Being that we can deal with almost everything or everything you could search the storage facilities in Japan for. Pack your items/products/raw materials and prepare them for the transportation. Packing for the Japanese storage can be very simple, and it can be very difficult. If we are talking about your personal belongings, you should be capable of doing it by yourself. We must only emphasize the importance of taking care that they are properly packed. Because, in a case you are doing the packing, we cannot be responsible if something happens to your items because of unsafely packed. Therefore, if you are not sure how to pack something, or you need an assistance. hire us and leave that job to the professionals. Talking about our cooperation with the companies, we also offer to pack and prepare your raw materials and products. We have the precision machinery to conduct all the demanding packing processes right. Keeping your belongings safe during the transportation. So in case you do not have the workforce to do the packing, or you do not have the time, we offer to do it fast, safe and cost-effective! We have the possibility to conduct the transportation by air, by sea or by road. You get to choose the option you prefer. (having in mind the customs clearance in case you are importing your items from abroad). So after your items are packed and prepared for the transportation, we transport them directly to our storage facilities in Japan. The combination of transportation options is also an option. Which could be a necessity if you choose to transport your items by air or sea. Because they would need to be transported from the port or airport to the storage facility you pick. Kokusai Express Japan hires only the experienced workers with an expertise in warehousing. This allows us to claim we can handle all to items you could possibly need to store. Besides this, our investments in our warehouse buildings in Japan are among the top priorities when it comes to the warehousing. Providing the top conditions for all climate conditions your products, raw materials or personal belongings should be stored in. We take the security of our warehouses very seriously. This is why we implemented the top solutions for keeping the storehouses safe in our warehouses in Japan. In case you want to make sure we are not just saying this, pay a visit to our storehouse in Japan you consider using. We will be happy to host you and show what we offer! On the date you set, we deliver your items to the address you set. It might be your new home, your customer, your client or the market. Whatever requirement you might have, we will be more than happy to deliver your items quickly and at a very affordable price. Keeping constantly an eye on the safety of your belongings. All the process of warehousing in Japan we conduct has one thing in common. And that is the maximum of safety we provide. Starting with your items coming to our storage. During their stay in our facilities. And, in the end, until we deliver them to the address. We are committed to providing our customers and clients with the maximum of comfort. 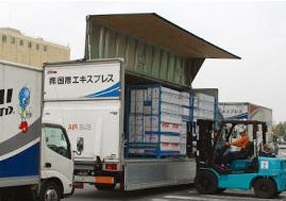 Therefore, we are offering the variety of warehousing services in Japan you can opt from. As we mentioned in the beginning of this article, we let you choose the option that suits you the best. Whether it was long-term or short-term storage solution in Japan. We are completely open to all sorts of negotiations. And, whatever option you choose, we are sure we can make a warehouse arrangement that will be affordable for you. Not exceeding your budget, and letting you store the items for as long as you might need. Is There Some Limit for the Items That Can Be Kept in Our Warehouses? Kokusai Express Japan provides all kinds of logistics services you can imagine. That is why we created our Japanese warehouse facilities in a manner to support every activity we undertake. And we conduct the transportation starting with small packages all the way to the project cargo. So we have almost no limits on what you can keep in our Japan storage facilities when it comes to size. Regarding special conditions for your items, we can discuss everything. Contact us, tell us what you need, and we will do all in our power to provide you with the best services available in the market. Talking about the items needing special licenses for keeping, we suggest you get those licenses first. Or you can come to us, and we will go through everything and see what you might need to acquire. Why Should You Use Kokusai Express Japan Warehouse Solutions? Our goal is to constantly put an effort in achieving new limits of customers satisfaction. Hence, our personnel is specially trained to meet customers with a smile and making them comfortable. Of course, putting the quality of our warehousing services aside. This could be one of the reasons why our customers and clients tend to keep long-term relationships with Kokusai Express Japan. And why we constantly have new clients that heard about us from our previously satisfied clients. As we said, the quality of services we provide in our warehouse Japan facilities is among the best in the market. And we do not stand still. We are looking to upgrade all the services we offer. Constantly making sure to be one of the best warehouse Japan solutions you will find in the market. And expanding our network of storages, and implementing new sorts of services, tends to be a good decision. Having in mind that it led to multiplying the number of clients and customers. We also tend to keep our prices affordable. Trying not to exceed your budget. Never making you choose between lower quality of services at an affordable price or top quality services at the high cost. Our rule is to get everything done efficiently, at the top quality, achieving the goal of charging you with the affordable price. Come and become one more satisfied customer of Kokusai Express Japan. We will be more than happy to make you smile!